It wasn’t that long ago that you couldn’t run a hackathon in Saskatoon without raising eyebrows about what you were planning to hack into. 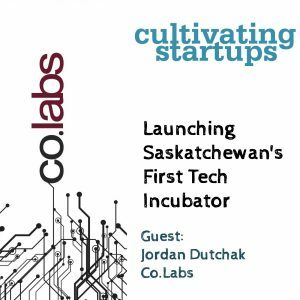 Now a startup community is emerging in the city and the province has provided $250,000 to the first tech incubator in Saskatchewan—Co.Labs—which will officially launch in September. We talk to Jordan Dutchak, the executive director, who has spent more than two years helping to make Co.Labs a reality. He talks about how Co.Labs came about, how it’s structured, what they’ve learned from other incubators in Canada, the ROI that government funders expect to see, and the operating model they’re using: how startups are brought on board and the processes for remaining in—or being asked to leave—the incubator. Jordan also describes how—even after years of preparation—there were still a lot of surprises waiting once they brought the first startups on board for a beta run this summer.